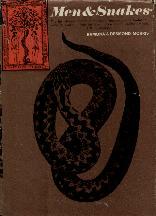 The Menstuff® library lists pertinent books on Ritual - Initiation and Ritual - General. See Ritual - Visions Quests separately. 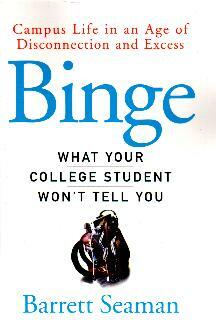 See also books on adolescence, mentoring, issues on fathers & daughters, fraternities, and publications New Moon Girl. Updated 1/17/01. Meade, Michael, Men & the Water of Life: Initiation & the tempering of men. When generativity, creativity, generosity and the capacity to embrace life dry up, the Water of Life has gone underground. At such times, the earth becomes arid, life becomes devoid of meaning, the ground of culture cracks and splits, and gaps develop among peoples and between epeople and nature. Only water can bring the pieces back together, awaken seeds hidden in the ground, and enliven the parched Tree of Life. One of the most important ways to call forth the water of life is through story. For years, the author has been steeped in stories, some from the ground of his own life, others from the ancient rivers of Celtic, European and African myth. Still others emerge from years spent as a teacher, listening to the stories that both men and women carry. From these stories he derives medicine for healing individual wounds and uncovers rituals for the remaking of community. Attuned to our modern needs - the wounds of divorce, addiction and loss, the moral abandonment of children, the gap between the genders - and our mythic inheritance, this book offers narratives that reflect and resonate with the oldest parts of the human psyc Bilhe - the place where things began and the place where things can begin again. Harper, 1993 ISBN 0-06-250542-4 Buy This Book! Weiner, Bernard, Boy into Man: A fathers' guide to initiation of teenage sons, Transformation Press, 1992 Make check out to Transformation Press, $15.95 total ($11.95 plus $4 s/h) and mail to: Bernard Weiner, 197 Bonview St., San Francisco, CA 94110. Plunkett & Wieners, Burning Man. Why this is in the ritual section may only be explained by attending this annual Labor Day fete. This coffee table volume of excellent photography and stories is the next best thing to being there. The event is creative expression like none other and the concept closely resembles the building of sand castles or carving of ice sculptures. In the end, the art, structures, creativity go up in flames. And, within a few weeks afterwards, the only trace of our being in the desert are the minimal use of the playa for roadways. All structures, residue, even sparkles are removed from the desert floor to return the soil to nature. 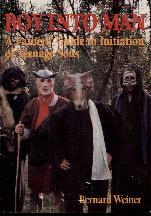 So, it is very much an initiation. A place where you can experience what others need drugs to experience. An admirable achievement that is a welcome collection to the novice and experienced alike. HardWire Books, www.hardwired.com 1997 ISBN 1-888869-13-5 Buy This Book! 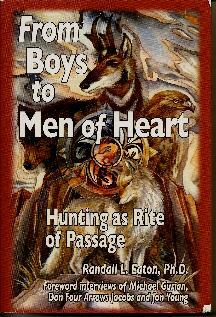 Roberts, Williams O., Crossing the Soul's River: A Rite of passage for men. This compelling book puts the male midlife crisis into its deepest context - the growth of ourselves as spiritual beings. In so doing it moves well beyond treatments which focus solely on the psychological dimensions of this process - though the author details these too with a sharp insightful eye honed by his own personal experience. 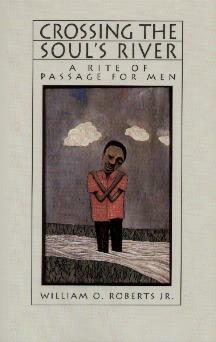 Most helpful is his detailing of various rites of passage designed to help men navigate through this difficult time. In this the book is of practical as well as intellectual use. The book is deeply insightful and altogether illuminating. 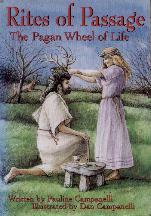 The Pilgrim Press, pilgrim@ucc.org, 1998 ISBN 0-8298-1259-8 Buy This Book! Some, Malidoma Patrice, Of Water & the Spirit: Ritual, magic & initiation in the life of an African shaman. The author, whose name means "be friends with the stranger/enemy," was born under the shadow of French colonial rule in Upper Volta, West Africa. When he was four, he was taken by a Jesuit priest and imprisoned in a seminary built for training a new generation of "black" Catholic priests. In spite of his isolation from his tribe and his village, he stubbornly refused to forget where he had come from and who he was. Fifteen years later, he fled the seminary and walked 125 miles through the dense jungle back to his own people, the Dagara. Once he was home, however, many there regarded him as a "white black", to be looked on with suspicion because he had been contaminated by the "sickness" of the colonial world. He was a man of two worlds, at home in neither. His only hope of reconnection with his people was to undergo the harrowing Dagara monthlong initiation in the wilderness, which he describes in fascinating detail. He emerged from this supernatural ritual a newly integrated individual, rejoined to his ancestral past and his cultural present. For more than a century, anthropologists and ethnologists have attempted to penetrate the worldview of indigenous peoples. Now a true son of Africa has come forth, with the permission of his tribal elders, to tell us with stunning candor about their way of life. Today he flys the jetways writing on his laptop computer, seeking to share the ancient wisdom of the Dagara with the rest of the world and bring an understanding of another way of life to his village. His book is a courageous testament to the hope that humanity can learn to live in a global village and see the "stranger" as a friend. Tarcher/Putnam, 1994 ISBN 0-87477-762-3 Buy This Book! Some, Malidoma Patrice, The Healing Wisdom of Africa: Finding life purpose through nature, ritual and community. A fascinating, detailed journey through the traditional healing practices of West Africa, by a beloved shaman and scholar. Through this book, readers can come to understand that the life of indigenous and traditional people is a paradigm for an intimate relationship with the natural world that both surrounds us and is within us. This acclaimed book is the most distinctive and complete study of the role ritual plays in the lives of African people - and the role it can play for seekers in the west. Tarcher/Putnam, www.penguinputnam.com 1999 Paperback. ISBN 0-87477-991-X Buy This Book! Some, Malidoma Patrice, Ritual: Power, Healing and Community, Malidoma Patrice Some. In this remarkable book, we explore the essential role ritual plays in maintaining community and examine the structure common to all ritual. By telling stories of the rituals of his native West African Dagara culture, and his own experiences in the tribal community, he makes a convincing case that the lack of ritual in the Western world is a fundamental reason that the fabric of society is unraveling. "The question is," said Michael Meade, "can the modern world find ways to perceive the subtle knowledge and imagery of the tribal understanding open a place for tribal visions of spiritual life and community rituals to enter? Malidoma Some is uniquely qualified to find the thresholds between the worlds and hold the gates open." Arkana www.penguin.com 1997 Buy This Book! 37% of American drivers say they are excellent drivers. 2% think others drivers are equally skilled.